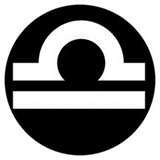 Shown here is the Libra Symbol from the 12 signs of the Western Zodiac. The sign of Libra is symbolically represented by a scale. In fact, Libra is the only sign of the Western Zodiac whose symbol is an inanimate object. All the other signs are symbolized by animals or people. Libra is the seventh sign of the Western Zodiac. From the perspective of the Western Hemisphere, the sun passes through the constellation of Libra between September 24th and October 23rd. People born under the sign of Libra are said to appreciate beauty and balance. Libra people can be good writers and communicators, as well as analytical thinkers. Libras are generally social and sensual, with often a tendency to look on the bright side. Libras can also sometimes be insincere, and may frequently be indecisive. People born under the sign of Libra are considered most compatible with Aquarius, Gemini, Leo and Taurus. 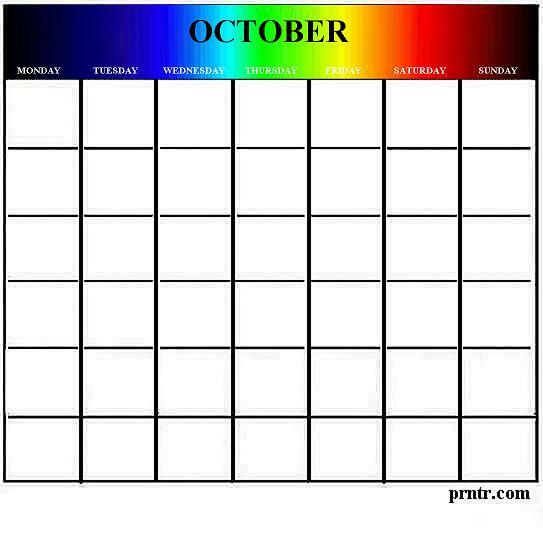 To print the reusable October calendar shown above, simply right click on the image and select a PRINT or a SAVE option from your drop-down menu. This will send the picture to your image file. From there, you can adjust the page margins and reduce or enlarge as needed for optimal printed results. Use these images to adorn your stationery, decorate a website, enhance your artwork, or any other purpose you can imagine. For tattoos, clip art, next month's calendar and more, see any of the links on this page. Independence Day, celebrated in both Cyprus and Nigeria on October 1st. Free Printable list of Amtrak Train Stations in All 50 States. Free Printable list of Greyhound Bus Stations in All 50 States.